Rains have draped our hills in myriad shades of green. There is a profusion of ferns, flowers and fruits. We spotted some very beautiful but very small flowers dotting the landscape. 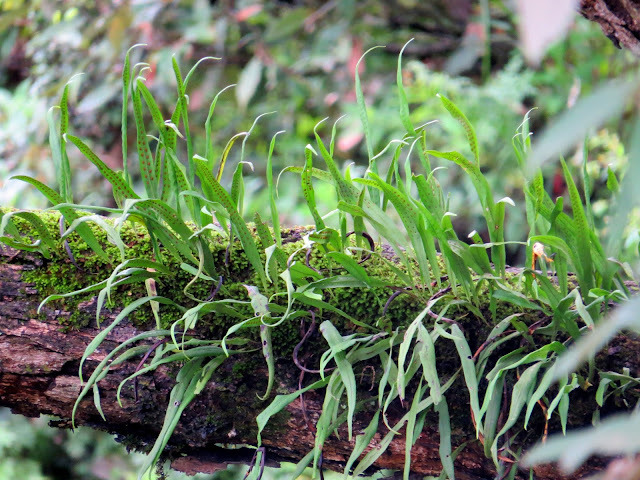 A large variety of ferns are flourishing on the ground while some ferns prefer to grow on oak trees. We loved the sweet cold air echoing with the songs of the birds. Whenever we go to the hills, we prepare some healthy snacks to take along. After walking for miles, it is very gratifying to satiate hunger by eating something healthy. 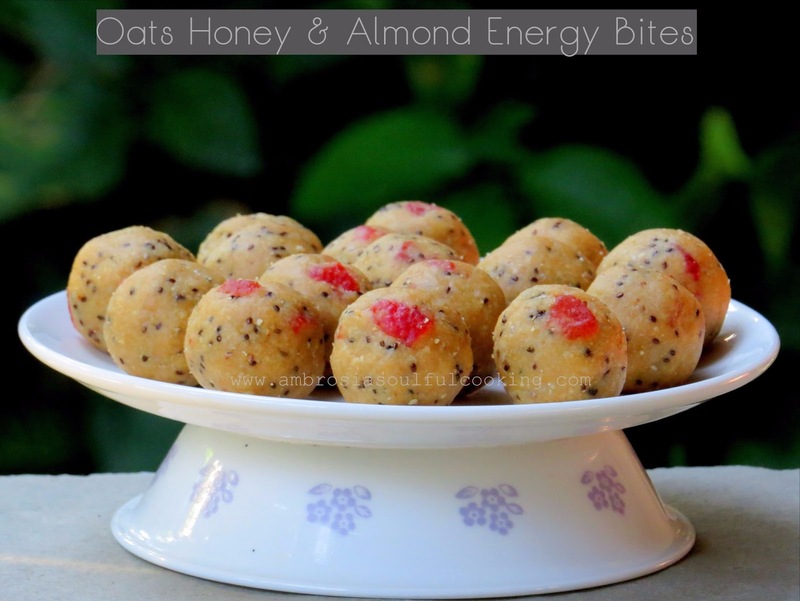 This time, we prepared Oats Honey and Almond Bites. We added lots of candied strawberry pieces for added sweetness and flavour. In the other batch, we added dried figs. Either way, it is a beautiful combination. 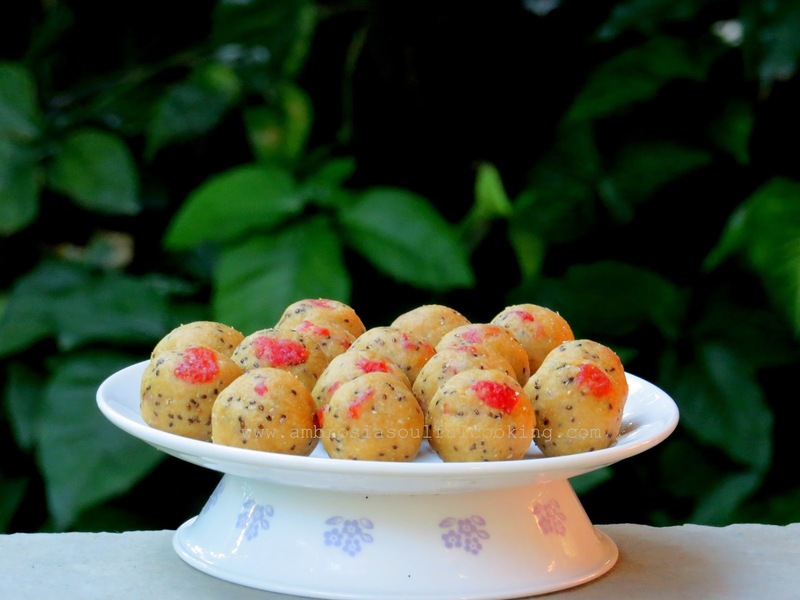 These energy bites are ideal for journeys, picnics and even for gifting. Roast peanuts in the oven at 150 degrees C for 10 minutes or until golden and fragrant. Cool and remove skin. Chop almonds into small pieces. Powder the oats in a food processor. Grind the roasted peanuts till they begin to release oil, till you get a peanut butter like consistency. Take all the ingredients in a bowl. Add chia seeds and chopped strawberries. Add honey. Mix well till all comes together and the mixture becomes like dough. Pinch small portions of the mixture and roll out walnut size balls.